In China, the Tiger and the Leopard were two of the most feared animals that stalked the land. At night these man-eating creatures would sneak into villages where they would attack livestock and humans alike. To Chinese martial artists, these carnivores were not only feared, but also respected and even praised. Why? Because many of the Chinese open-hand combat techniques were based on the actions and movements of these two animals. Let's start with the Tiger. The Tiger can be considered the fiercest of the original five animals taught at the Hunan Shaolin Temple. Its major characteristics are its raw courage, dynamic strength, and ferocious attacks. One predominant focus of the Tiger-pattern exercise is the introduction of powerful short-arm clawing strikes to the practitioner. Proper practice of the Tiger exercise can strengthen the practitioner’s bone structure. These factors turn the Tiger-pattern exercise into a dynamic power-oriented set of combat techniques. The Leopard on the other hand has always been considered the cleverest of the Shaolin Five Animals. Its major attributes are dynamic attacks, agility, cunning, swiftness, high leaps, and running speed. The principal purpose of the Leopard-pattern exercise is to develop lightning speed and agility. 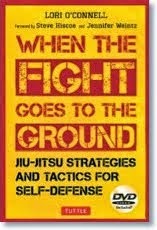 The practitioner is introduced to the art and science of rapid-fire punching and kicking combinations and taught the skills of stalking an opponent. These techniques are a few of the components that make the Leopard-pattern exercise a methodical, speed-oriented combat style. The Tiger-Leopard Fist is a part of the Hung Sing Choy Li Fut System. This traditional exercise synthesizes the dynamic moves of the Tiger with the rapid-fire maneuvers of the Leopard. Technically, it is a rapid tempo 80 move open- hand combat exercise that displays many efficient Choy Li Fut street combat tactics. The late Lew Bun (1891-1967) was the first grandmaster of the Hung Sing Choy Li Fut fighting system to teach in the United States. He consolidated the individual Tiger and Leopard forms and incorporated them into one lethal open-hand combat exercise the Tiger-Leopard Fist. This form was originally created as a physical conditioning exercise, but is now used as a combat form against an even more vicious animal—man! Sifu Lew Bun came to the United States in the 1930s. In 1941, he opened his Choy Li Fut martial arts school in San Francisco Chinatown. His school was nicknamed the "Red Door." This moniker was due to the red-painted front door that honored the forefathers of the Choy Li Fut martial art system. Lew Bun continued to operate this school until his death in 1967. During his tenure, Lew Bun discovered that some of his Choy Li Fut combat tactics were ineffective against physically large people. So, he decided to develop a set of pragmatic, but lethal open-hand exercises for the purpose of "open-hand combat against physically large opponents" (including, Cross and Reverse Fist, Tiger and Leopard Exercise, Ten Thousand Elephant Exercise, and Five Animals Internal Exercise). Historically, the Tiger and Leopard set is considered a technical subset of the secretive Ten Thousand Elephant Fist exercise. The Ten Thousand Elephant Exercise is a clandestine short-range open-hand combat form that was only taught to his loyal and most advanced students. 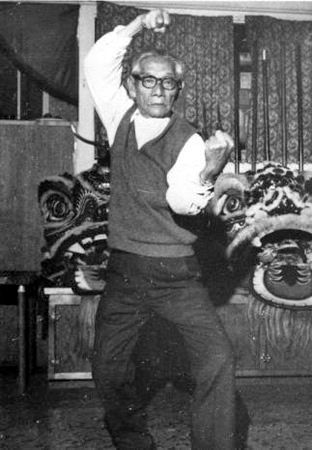 Lew Bun taught the Tiger and Leopard set as an introduction to advanced Choy Li Fut open-hand combat principles. Many years after Lew Bun’s death, Sifu E. Y. Lee decided to teach this intricate open-hand set to his advanced students. To learn the Tiger-Leopard exercise, the martial artist must first master the basic Choy Li Fut hand, foot, and eye movements. The Tiger-Leopard exercise is a rapid tempo open-hand combat exercise that displays some of Lew Bun's favorite street combat tactics. It combines the powerful attacks of the Tiger and the strategic darting motion of the Leopard. Some of the distinguishing Tiger and Leopard moves are the "Double Circular Tiger Claw" attack, Tiger Tail Kick, Rolling Ground Spinning Body Sweep, multiple "Leopard Knuckle" Thrusts, and "Double Leopard" Upper-cutting Hand Strikes. 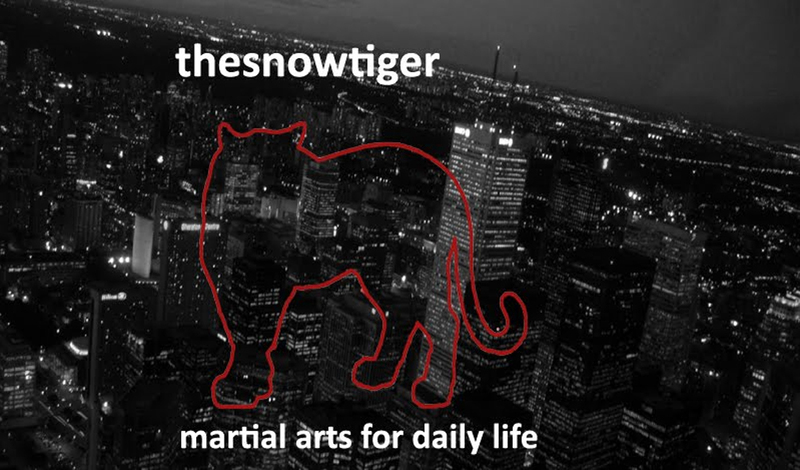 Technically, the Tiger-Leopard exercise incorporates a wide array of short to medium range punching and kicking tactics of the Hung Sing Choy Li Fut system. Its hand techniques include vertical-motion elbow smashes, the overhead reverse sweeping punch, a specialized (corkscrew drill motion) one-inch impact "Leopard ping) punches, elbow smashes, and downward-thrusting "Leopard Knuckle" strike. (The last two Choy Li Fut "Leopard Knuckle" hand techniques are a part of the Choy Li Fut system Charp Tsui punching techniques.) The array of kicking techniques includes the triple-jumping crescent kick, double-ground sweeping kick, stationary-ground sweeping kick, low-elevation knee and shin-shattering kicks, and groin-aiming snap-thrust kicks. A typical combat progression in the Tiger-Leopard exercise is the explosive movement of a retreating cross stance, followed by a circular-motion overhead leopard back-fist hand strike leading to a sequence of triple jumping spinning kicks. This sequence is completed by advancing forward with a darting side-square stance and targeting a frontal leopard strike to a selected vital spot in the lower abdomen. When the footwork portion of this exercise is done correctly, the completion of the pattern walks looks like the Chinese character for peace. Dodging and countering is more effective than "blocking and attacking"
Sifu Lee always reminded his students that the true art of street combat is based on striking the opponent effectively and not getting hit. "...If you are going to "quick draw" your opponent, explode into your opponent effectively. If you are wrong, recover quickly." He also emphasized that "... for every offensive technique implemented, there is always a defensive technique that can neutralize it. However, there are no counters to the elements of timing and power. 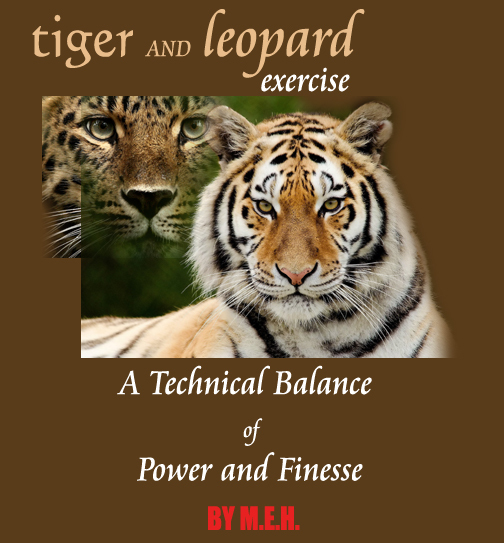 The Tiger-Leopard exercise is one of those rare ideal open-hand sets that focuses on developing the proper execution of both speed and power with an emphasis on physical agility and proper timing." As part of the training, Sifu Lee underscores the importance of understanding the spirit and motion of the animals. Part of the student's training is to emulate the spirit and the movement of these animals. They are instructed to visit the city zoo and the library to study the quintessence nature of the animal. Sifu Lee argues that if the student does not do this, then, he or she is likely to have a difficult time emulating the spirit and the movement of the animal. Employing evading and countering from any angular position and various physical motions (such as skipping, stepping, sliding, and jumping). In the beginning of training, Sifu Lee usually instructs the student to execute the exercise with minimum speed, maximum extension, full coordination, timing, and precise accuracy. Once the fundamentals are mastered, the student is taught to exercise the punching and kicking maneuvers with maximum velocity from all directions. The Tiger-Leopard player is also trained on a balanced state of large, medium, and small-sized circular movements. The practitioner is also taught to utilize small double action (that is, circular to linear) and double-impact hand thrust movements in combat situations. Once the student has completed the basic technical portion of this exercise, Sifu Lee guides the student on the applications of the Tiger-Leopard combat techniques in various dissimilar street-combating scenarios. The student is then taught how to respond in these various single and the multiple-persons combat scenarios. The student is also instructed on how to effectively strike the various portions of the human body (that is, nerve points, meridians, limbs, and so on). In the beginning of most martial arts training programs, the students are taught to block with one hand and attack with the other hand. At E.Y. Lee Kung Fu School www.eyleekungfuschool.com, Tiger and Leopard practitioners are instructed to simultaneously disintegrate the opponent's attack and counterattack. This advanced combat tactic is emphasized in other advanced combat exercises of the Choy Li Fut system (that is, Five Animals Internal Exercise, the Ten Thousand Elephant Exercise, and so on). While maneuvering and combating in a vertical linear motion is a common trait found in most martial art systems, instantaneous evading and countering movements are particularly highlighted in this exercise. The single commonality that all advanced exercises possess is the emphasis on the killshot. The killshot is the martial arts equivalent to Western boxing's knockout punch. The Tiger-Leopard exercise introduces to the player to a variety of killshot tactics. These lethal tactics are practiced in both single- and multi-combat situations. The students are also instructed in the art and science of rapid-fire one-inch hand strikes and the various tactical principles of open-hand combat. Sifu Lee points out that there are many technical similarities between this open-hand exercise and that of Western boxing. These specific parallels are the usage of angular hooks, straight thrusts, round house swings, and crosses. In a street combat situation, the motion of an experienced Tiger-Leopard player is similar to that of a skilled Western boxer. Once an experienced practitioner has penetrated the outer defenses of an adversary, he/she should instinctively target an offensive combination of quick hooking and upper-cutting strikes into the vital spots of the opponent. If the Choy Li Fut player were to master the power-based actions of the Tiger and the explosiveness motion of the Leopard, his arsenal of efficient open-hand combat maneuvers would be increased dramatically. Sifu Lee accentuated that the consummate Tiger and Leopard player is one who is "methodical by style, subtle by action." This mindset is extremely emphasized in the training of some of his other advanced Choy Li Fut open-hand combat training exercises. In the 20th century and beyond, elaborate open-hand combat sets like the Tiger-Leopard exercise are needed to teach defense-minded students the art of defending themselves from the most vicious animals of all. M.E.H is an amateur scholar who specializes in Asian military history. In his spare time, he studies Chinese internal martial arts, the Chinese spear, and the Chinese straight sword. This is the first article we’ve been honoured to have on the complex and powerful system of Chinese martial arts called Choy Li Fut. I can’t thank Jadedragon.com www.jadedragon.com and M.E.H. enough for sharing this article with us! The permission came from Mariette Pan. If you want me to remove the article, I will do so immediately. Thank you.